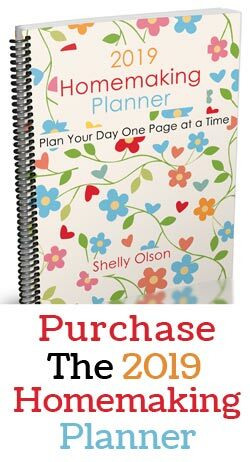 Inside: Need a last minute gift? 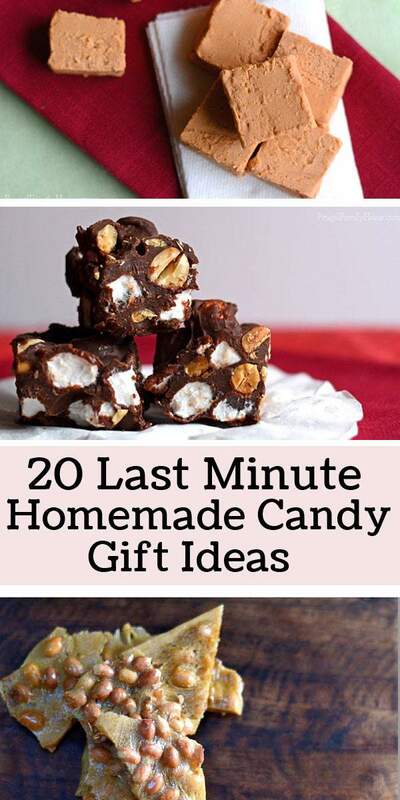 Any one of these 20 candy recipes would make a great last minute gift for anyone on your gift list. Most are really easy to make too. Christmas is coming and it’s going to be here fast. If you’ve been having trouble coming up with Christmas gift ideas and now it’s getting late in the month, I’ve got a few last minute homemade candy gifts ideas. 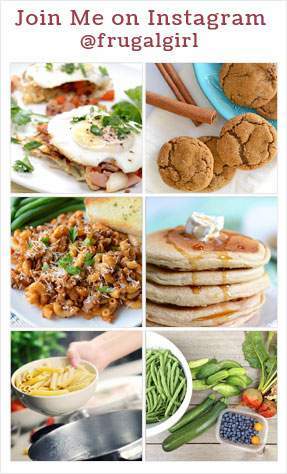 All of these recipes are tried and true recipes that I’ve made for family and friends over the years. Plus most of them are easy to make. A few of them you’ll need to use a candy thermometer but don’t let that scare you away, it’s not as hard as it might seem. A wonderful creamy fudge I’ve been making for years. Add your favorite nuts, we like walnuts or almonds but for a fun different taste try pistachios. A yummy blend of chocolate and almonds in a thin layer. It’s a super easy recipe with just two ingredients and less expensive to make than to purchase. This candy is probably my most requested candy of all the ones I make. It’s a blend of butterscotch, vanilla, and peanut butter, with nuts, cereal, and marshmallow. It like a butterscotch rocky road with cereal added. While the name says cookies, the yumminess says it’s a candy. Make this recipe for yourself and decide. With just 3 ingredients and a few minutes these cookies/candy can be ready to eat. This is another favorite of family and friends. It’s a delicious blend of vanilla and chocolate with the candy crunch of candy canes. It’s easy to make in the microwave. So much less expensive than purchasing it too. I would say this fudge is close in flavor of Andes Mints. 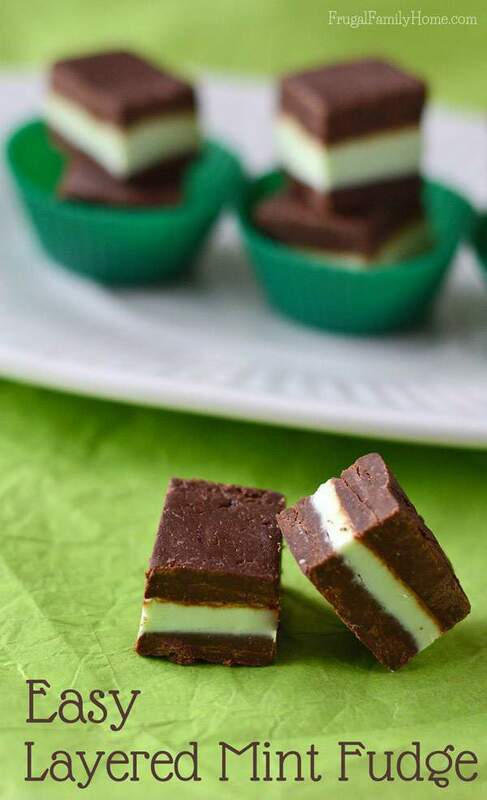 With a layer of mint fudge sandwiched between two layers of chocolate, you get a nice chocolate flavor with a little mint. This is a recipe I learned how to make by watching my great grandma and grandma. We always had a batch of this each Christmas and it is so good. Smooth, peanut buttery, and delicious. Not a hint of chocolate in this fudge. 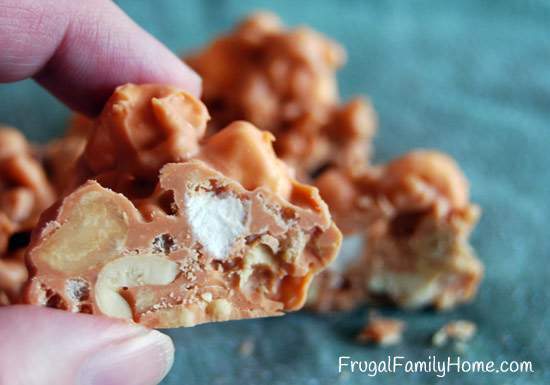 Like the almond bark above, this butterscotch bark is simple to make. 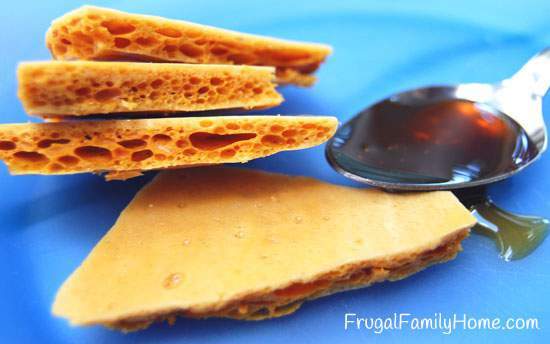 Only 3 ingredients, a microwave, and a few minutes are all that is needed to make this candy. I like to add cashews into this bark for a nice creamy crunch but any nut would work great or you could even add toffee bits. 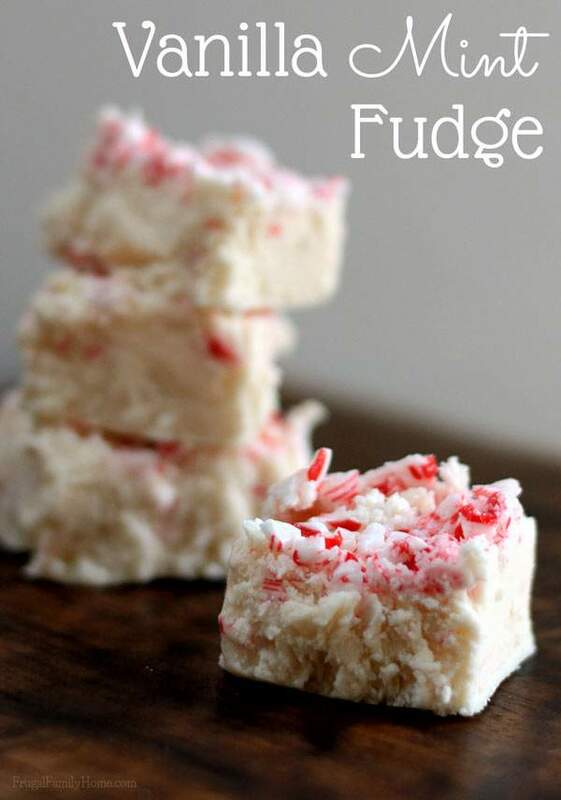 A creamy all white vanilla fudge with a topping of crushed candy canes. It not only tastes delicious but also looks beautiful too. 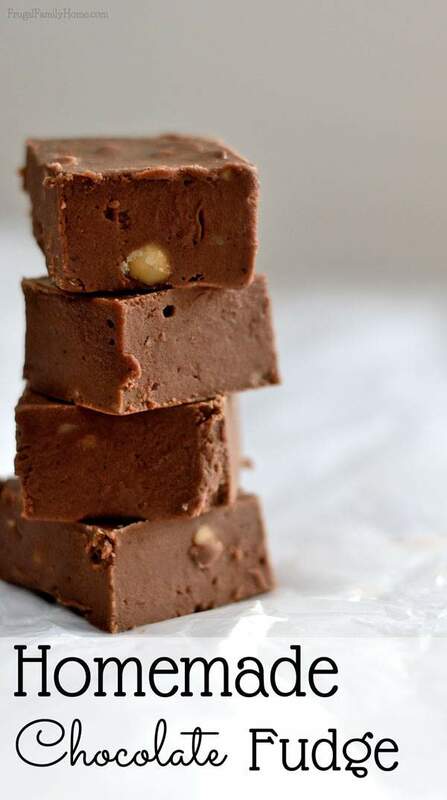 Don’t like mint, add chopped almonds or pistachios to this fudge for a yummy vanilla nut fudge instead. What’s better than a chocolate truffle? A homemade chocolate truffle rolled in almonds and then coated in white chocolate. It delicious from the yummy outside all the way to its creamy chocolate center. A wonderful blend of chocolate and peanut butter with a little extra added crunch. Perfect for those chocolate and peanut butter lovers on your list. 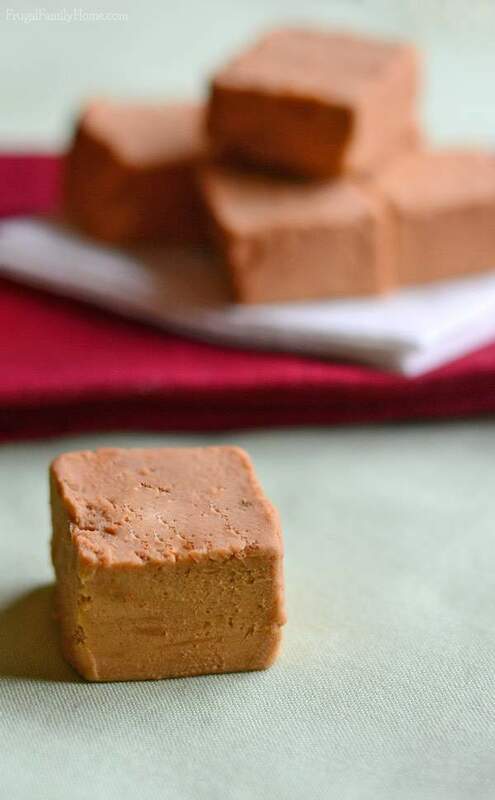 Fudge is great but if you haven’t tried butterscotch fudge, you need to give this recipe a try. So simple and easy to make but so delicious too. I know it might seem like a weird combination but bacon really does go well with chocolate and maple. You have to give these a try if you love bacon. 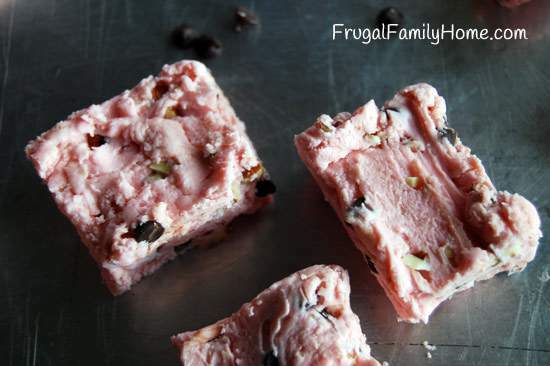 A simple easy fudge recipe with the combination of strawberries, almonds, and chocolate chips. Just a few ingredients and a few minutes and this treat is done. Another option for those who love peanut butter and chocolate. 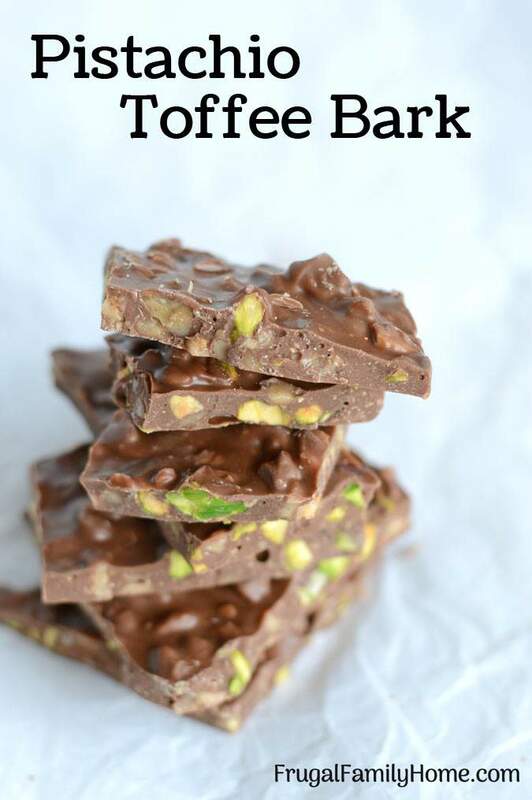 Combine this easy to make peanut butter bark with some chocolate covered peanut butter balls and you’ll have a wonderful gift for peanut butter lovers. This bark is such a great flavor combination. With the distinct flavor of the pistachios along with the butter crunch of the toffee all mixed up with chocolate. It makes such a yummy treat that’s easy to make with just 3 ingredients. Delicious toasted nuts surrounded by a nutty caramel like crisp sugar mixture. So delicious and worth the effort that it takes to make. Chocolate fudge surrounds nuts and marshmallows to make a delicious fluffy and crunchy treat. These are a favorite of our family. They are easy to make, no baking needed and they taste so much better than the peanut butter cups from the store. They are bite-sized peanut butter and chocolate deliciousness. Crisp, honey, and only 4 ingredients needed. Do I need to say more? Oh and you can dip them in chocolate for those who love chocolate on your list. 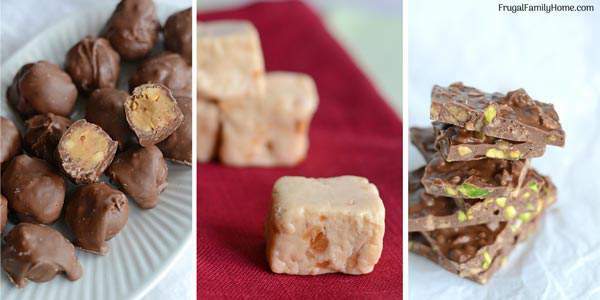 Which of these 20 last minute homemade candy gifts would someone on your list love?